Apostille is the authentication of public documents which also includes notarized one with perspective to use them Hague related countries in all nations that have joined the Apostille section of Hague convention. An apostille is defined as the international authentication that is acceptable within 112 countries of the world, mostly in the western part of the world. This authentication ensures that public document to be attested is verified within the country of their origin. 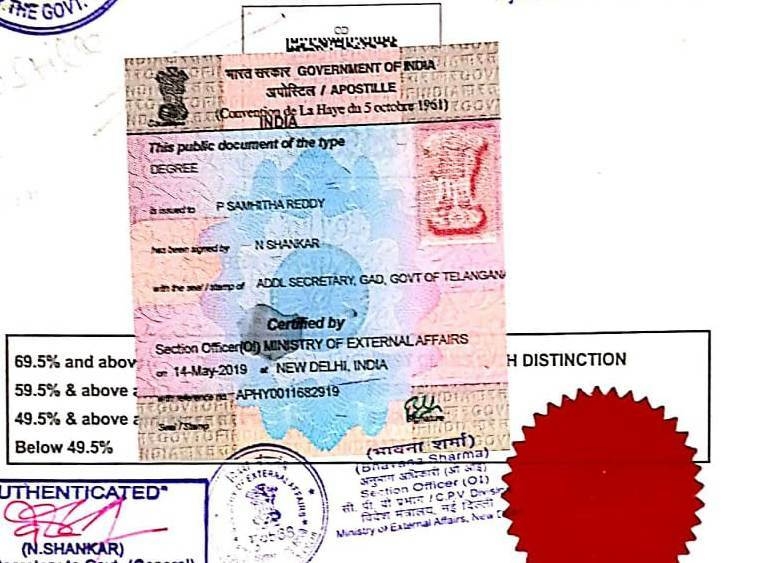 If in case, any legal or public document that is issued within any part of India is intended to be utilized in any of the Hague convention countries, such as UK, USA, and other European nations, it is obligatory to put Apostille stamp on the document from Ministry of Affairs in Delhi. You can get this attestation process done without any hassle but with reliable sources and assistance. We at Genuine Attestation Services, are one of the recognized attestation service providers all around Delhi. Possessing experience and certified experts to assist the best, we provide you great aid in the context of Apostille Services in Delhi area. Our assistance comprises of entire solutions associated with MEA & Apostille service such as attestation, clearance, and other connected works. Our quality services will help you to complete the process in minimum time period. Who Needs Certificate Apostille Attestation? To get employment in abroad. For higher study in foreign country. Initially documents get attested from State Government/Union Territory (HRD/GAD)/NORKA. At first, validation needs to be done by the State Home Department/GAD of the concerned State Government/Union Territory. Further, Apostille from Ministry of External Affairs, New Delhi is the final authentication. Respective Chamber of Commerce initially does the first authentication of document. Final attestation of document will be done by Apostille from Ministry of External Affairs. New Delhi.